Malaysia is a tropical country with countless of activities on various themes. From cultural discovery to rainforest and highland exploration, Malaysia has it all to offer for the nature lovers. To discover more about the rainforests and mountainous areas in Malaysia, perhaps joining a highland tour will give you a good insight on the nature of this beautiful country in South East Asia. 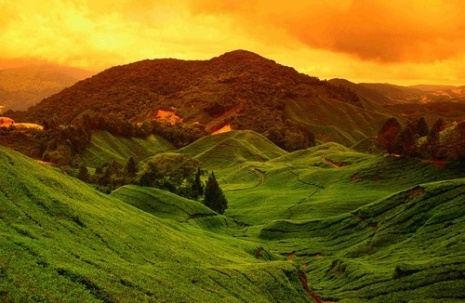 One of the most popular highlands in Malaysia is the Cameron Highlands located in the state of Pahang. This highland offers plenty of opportunities to discover some of the most beautiful tea and fruits farms in the region. 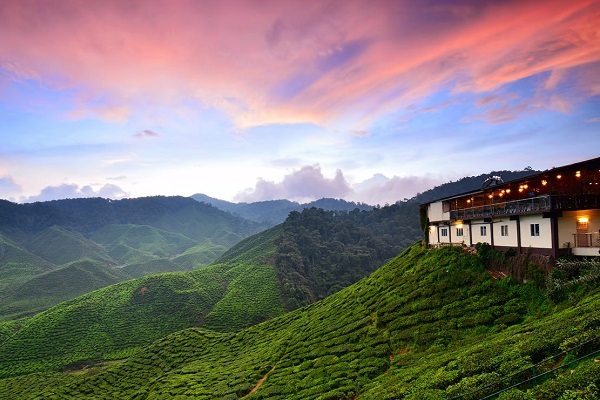 Being one of the most extensive hill stations in Malaysia with diversified of accommodations available, Cameron Highlands is also a good place for honeymoons vacation and family vacation. Genting Highlands located in the same state is attracting million of locals and overseas visitors to visit its precious “township” on the hill top. With its indoor and outdoor theme parks, plenty of dining options and chilling weather, this hill station is perfect for a family getaway. Golf lovers can also spend a day or two to test their golfing skill in the golf resort that offers incredible and unique highland golf experience. Genting Highlands also homes to the only casino in the country, for visitors who like to test their luck are welcomed to play some of the most popular casino games here. For visitors who are looking to get back to the Mother Nature, Fraser’s Hill is another good place to visit in Pahang. With numerous trekking trails throughout the hill, visitors can expect to uncover the beautiful floras dotted here. Fraser’s hill also homes to lodges and resorts which are perfect for those who are looking for a relaxing escape from the bustling city life. Panorama Hill on the other hand is the perfect place for the photographing nerds, especially when the sunrises. Gunung Tapis Nature Park located nearby is good for camping, fishing and photo shooting. Other nearby attractions includes Charas Cave, Sungai Pandan Waterfalls and Rainbow Waterfalls are all worth for a visit. Located in the heritage town of Taiping, Maxwell Hill homes to the smallest and oldest hill resort in Malaysia. The hill is a magnificent place for honeymoon as well as family getaway, visitors to this hill can expect to enjoy the cooling fresh air at 1250m above sea level as well as to explore the tropical rainforest along the hiking trail. If you are looking for a highland tour in Sabah of East Malaysia, the highest mountain in Borneo – Mount Kinabalu is a must visit destination. Located within the Kinabalu Park, Mount Kinabalu is known as one of the easiest mountains to access on earth. No specific mountain climbing skills are needed to ascend this mountain and the view from the summit is simply gorgeous. Having a highland tour in Malaysia can be fantastic and exciting, visitors are able to enjoy the magnificent view from the summit as well as to explore the beautiful floras dotted across the tropical mountainous areas as the same time. With the fact that most of the highlands in Malaysia can be easily accessed and plenty of hill resorts and lodges can be rented easily, highland vacation in Malaysia is getting popular nowadays.